This Chocolate Log is a No-Fail Christmas Dessert Recipe. 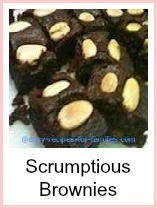 It's from our collection of incredibly easy recipes that look sensational and taste divine! This recipe for this Christmas dessert is incredibly effortless. 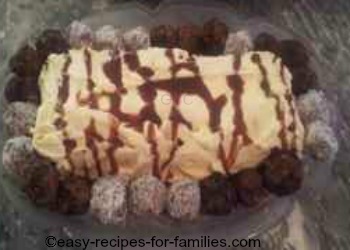 This recipe has simple to follow step by step instructions on how to make this scrumptious Christmas dessert. 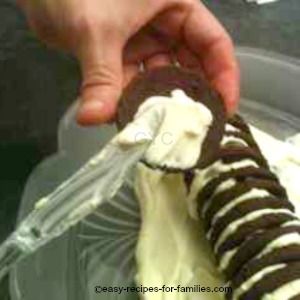 Then sandwich the cookies like in this photo of the dessert. 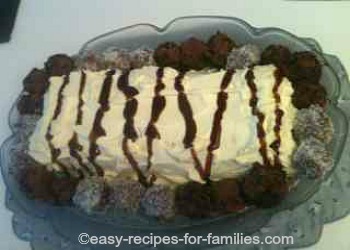 Cover the dessert entirely to make a snowy white log. Decorate the Christmas Dessert just before serving. 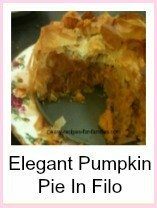 This dessert recipe presents elegantly and tastes divine! This sophisticated and so easy Christmas Dessert Recipe was served with a traditional Christmas dinner of ham and roast turkey. 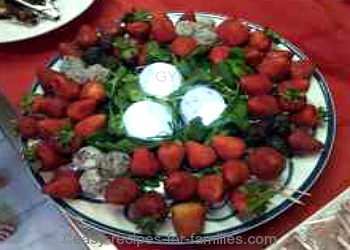 As we had 26 guests over for this holiday celebration, to be sure we had sufficient dessert, I made 3 other sensational desserts including this stunning recipe - Strawberry Christmas Wreath. 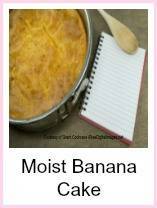 This is easy dessert is ideal for pot luck recipes for a Christmas function. 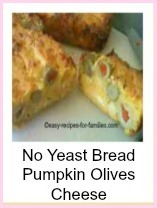 It's delicious, looks sensational and transports easily. To serve slice diagonally, across both rows of cookies. 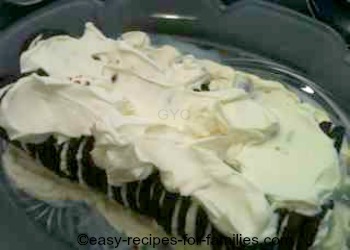 For recipes using cookie layers, you can substitute with a plain cookie but they do go soft when refrigerated. Ginger nut ones are best for these sorts of recipes because they're hard and crunchy and retain their firm texture when served 12 - 24 hours after making it. 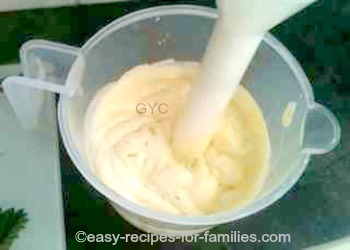 For this recipe, whip the cream till very thick. 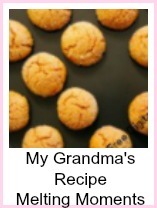 Take care to have the sherry soak into the cookie and not the cream as it'll just go unpleasantly watery. 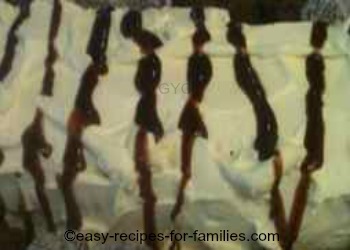 Leave Christmas Dessert Recipe to browse through hundreds of delicious and easy recipes!